Head-turning looks. Cutting-edge technology. Refined performance. Effortless practicality. 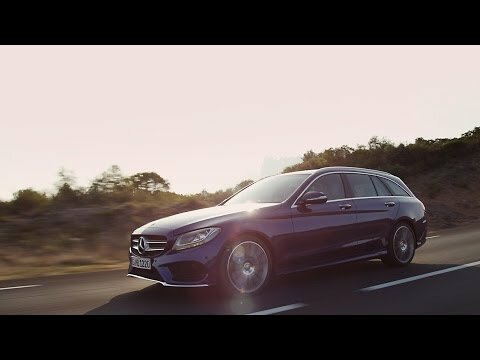 The new C-Class Estate excels in every department. It’s longer and wider than its predecessor, with an increased load capacity of 490 litres (seats up) and 1510 litres (seats down). It’s also significantly lighter, and remarkably efficient: up to 65.7 mpg* combined, with CO2 emissions as low as 108 g/km. Yet it still packs a punch, with the C 250 BlueTEC reaching 0–62 mph in only 6.9 seconds. Also included, Agility Select, which lets you tailor the drive experience to suit your tastes. And there’s a debut too for Connect Me, our new suite of online services that helps maximise safety, reliability and convenience. Luxury and innovation go hand in hand on the SE model line. Beautifully appointed, the cabin not only features high-end materials such as Artico* leather upholstery and high gloss Black trim but also offers technology in abundance. There’s the new Touchpad with Multi-Touch control, a reversing camera, and Agility Select, which lets you choose from five distinct driving modes: Comfort, ECO, Sport, Sport+, and Individual. Exterior design elements include 16” alloy wheels and stylish black roof rails, while the Easy-Pack automatic powered tailgate is another welcome feature. For your entertainment, the SE also includes Audio 20 CD with 7” colour display and Media Interface, while extensive safety systems include Collision Prevention Assist Plus. The Sport model takes the C-Class Estate’s dynamic styling to another level. Exterior highlights include striking 17” alloy wheels, chrome roof rails and exterior trim, and high-performance LED headlamps. Comfort suspension is lowered by 15 mm, emphasising the car’s agile, sporty stance. Inside, the theme continues with aluminium and high gloss Black trim, and Sports seats in Artico* leather. Featuring contrast stitching, these stylish, sculpted seats are available in a choice of Black, Crystal Grey, or Silk Beige upholstery. For enhanced safety, comfort and convenience, standard technology includes Parktronic with Active Park Assist and Garmin® Map Pilot Navigation. Styled by performance experts AMG, the AMG Line gives the C-Class Estate an even more dramatic, powerful look. Highlights include muscular AMG bodystyling on the front apron, rear apron and side skirts, complemented by distinctive 18” AMG alloy wheels. Sports suspension, lowered by 15 mm, comes as standard, along with the Sports braking system with perforated front brake discs.  Handling is further enhanced by the Sports Direct-Steer system with speed-sensitive steering. In the cabin, signature touches include AMG sports seats in Artico leather*, AMG sports pedals in brushed stainless steel, and the upper dashboard in Artico leather* with contrast stitching. Also included, the AMG multi-function 3-spoke steering wheel with its distinctive flattened bottom section and perforated leather trim. View model prices in the ebrochure below. From every angle, the C-Class Estate appears lithe and athletic, brimming with power and purpose. From the muscular front end, with its distinctive scooped-out air intakes, to the long, sweeping roofline, practicality has never looked so good. Striking styling elements include dynamic creases carved into the Estate’s flanks, plus powerful shoulders and split tail-lights, which emphasise the car’s wider, sportier stance. Designed to enhance safety and convenience, the optional Head-up display presents key driver information directly in your field of vision – so you don’t have to take your eyes off the road, even for an instant. Ambient lighting; the KEYLESS‑GO Comfort package for effortless entry, exit and starting; the Memory package for the front seats; and a panoramic glass sunroof to brighten up the cabin. Same features as Premium, plus the highly sophisticated Burmester® surround sound system and COMAND Online² with an 8.4‑inch high-resolution colour display,navigation with 3D map display and internet connectivity.